Or is there a COPD epidemic in adolescents in South California? To aldehyde emissions from e-cigarettes? In the past few days I have received a large number of emails and messages from concerned vapers about a study reporting huge levels of aldehydes in e-cigarette aerosol when using flavored e-liquid. The study has been published in the journalEnvironmental Research and Technology. The authors compared flavored with unflavored liquids. The highest level of aldehyde emissions were observed with the flavors watermelon blueberry and coffee. Remarkably, no aldehyde emissions were found when using an unflavored liquid. In the UK, a National Tobacco Control Survey is carried out annually, aiming to find out whether the current tobacco legislation is adhered to. This year, vaping products were included in this survey and it was found that 74% of councils had carried out the required controls. Vaping has come a long way in a short time. It started off as a cottage industry, dominated by small, creative companies which benefitted from loose-touch regulation to invent new and innovative products and bring them quickly to market.For vapers, the ability to create a personalised and unique product themselves from the tools provided by these vaping boutiques has always been part of the fun of their hobby. It is proposed that Hertfordshire County Council promotes responsibly the use of e-cigarettes to help smokers to quit or reduce smoking, whilst acknowledging that e-cigarettes are not entirely without risk, and monitors ongoing impact and evidence. This line is entirely consistent with national guidance and was included within Hertfordshire’s Tobacco Harm Reduction Guidance which was approved by Panel in February 2015. Public Health Surveillance, THR Education, Advocacy and Justice, THR Research, Cancer Risks and Communication, THR Business, US Election, US Election, Obama Still Using Nicotine, FDA, FTC, CDC, DOT, TPP, Taxation, Litigation, Vaping Bans, Minimum Age Laws, WHO FCTC COP-7, Graphic Cigarette Pack Warnings, Flavoring Bans, More Junk Science – Propaganda – Lies, Opioid / Marijuana THR. The question that rattles around in my head regularly is why is this topic so divisive and why are so many intent on heavily restricting it? To that end, I try to go back to basics, with a little help from some friends…. Hi Kids, my name is Mark Drakeford. I am a “Politician”. Politicians are special people that are chosen to make big, important decisions for less special people that are too stupid to think for themselves. When I’m not being a “Politician” I spend my time riding my pet unicorn across technicoloured rainbows in a magical, two-mooned, pixie-filled land called Wales…. 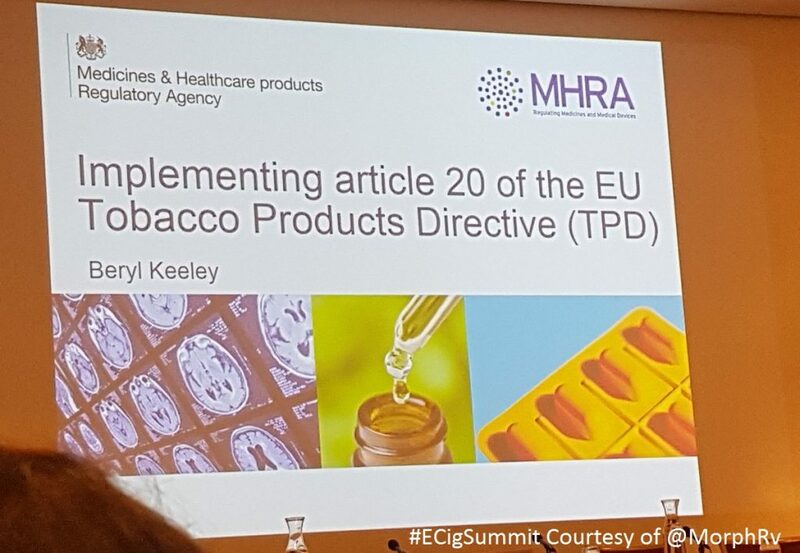 There appears some resistance in UK Government circles,and other influential sources,to acknowledge the concept of long-term e-cigarette use as a method to maintain tobacco smoking cessation.